Overcoming the side effects of nose cancer treatment as shared by Josephine Henry. Diagnosed with stage 2 NPC in October 2013. Recurrences in 2015 and 2016. Treated with Neo Adjuvant Chemotherapy (Cisplatin, 5FU and Docetaxel) and 35 fractions of Radiotherapy in 2014. Twice nasal surgeries, in 2015 and 2016. Six rounds of Chemotherapy (Cisplatin and Gemcitabine) 2017 and 30 fractions Radiotherapy. For my second time chemo treatment, I was given a combination of Cisplatin and Gemcitabine. After the first cycle (twice) my appetites went hire wire. I don’t like any of my normal food. I keep my HB count by taking red meat at least once a week. It is very important to keep HB count at above 9. If the number goes down then you might have difficulty breathing, fatigue, dizziness and to the point of fainting. BP will also go down and can cause other health problem. It is good to have a BP monitor at home so that you can always check your BP reading. I have stethoscope to monitor my heart beat as well. Every time I feel nauseated, I rub a bit of Vicks on a cloth and sniff. I drink a lot of plain boil water to wash away sour taste in my mouth. I take a small meal regularly to avoid my stomach from being empty. When taking medication, I strictly follow the prescription. If it says to be taken after meal then I do so especially when being prescribe with Dexatacal. This drug is prescribed to help us manage the pain from chemo but it can cause a bad diarrhea if taken with empty stomach. Chemo drugs and some of the medication being prescribe during the treatment can cause contraception. During the treatment, I drink a lot of liquid, plenty of fruits and vegetables and high fiber food. Banana, papaya and water melon are some of the fruits I love best even though they taste funny most of the time. During the treatment, I drank a lot of liquid. It will keep my kidney function healthy. The amount of water I drank was more than the amount I passed. One or two weeks before radiotherapy, I drink some honey diluted in a glass of water at least twice a day. During my first treatment, I used Manuka honey. But it was difficult to find it in the local store in Sabah. I opted for Trigona honey. Honey help to keep our mouth healthy. I always bring a small bottle of chilled water when I go for radiotherapy. I take a sip just before the procedure starts and a sip soon after and I drink a lot of liquid throughout my therapy. Upon reaching home I put icepack on my neck, face and head or I just wet my head and neck with room temperature water. Throughout the 33 session of radiotherapy, I did not have any neck or face burn. To keep my oral hygiene at the highest level, I brush my teeth at least 3 times a day or every time after meal. Mouth gargle is a must. I used Oradex for mouth gargle and for cleaning my nasal. I apply lots of coconut virgin oil on my face and neck area two hours before and after the procedures. And I use the oil to moisture my face and neck area throughout the treatment and after. I did not use other moisturizer. I read somewhere that how well one manage the treatment effects is 90% mental attitude. I found out this to be true. Positive mental attitude helped get through my battle easier. Having faith is very important. Believing that there is a higher power that I can rely on had given me peace of mind. Believe in your doctors and most of all believe in God. During my treatment I was given six months sick leave. I took up a new hobby. I did some quilting. I also made some scarf and bottle bags for chemo bottle. I gave them to the hospital to be use by other patients. It gives me a wonderful feeling and help me keep my mind off negative thoughts. I also started writing my treatment journey. I had wonderful caregivers who have helped me during my tough treatment journey. To have someone to lean on and to talk to helped me let out negative feelings allowed me to stay focus and positive. Be it the person next to you or someone in the virtual world, talking, sharing and sometime venting really help. Throughout the treatment of Chemotherapy and Radiotherapy, it is very important to maintain our body weight. Maintaining body weight is difficult since I cannot take solid food. I took some porridge with vegetables and chicken or fish meat. Chicken or fish soup with some noodles is easier to swallow. I also drink Ensure milk with oats. During my chemotherapy I took at least two boiled eggs for breakfast. Egg is a good source of protein and easy to digest. I also took time to enjoy a bowl of beef soup once a week. I was not ‘pantang’ on types of food or drinks, except for preserve food like salted fish, or canned food. I drink green tea such as Moringga Tea as well as other Chinese herbal tea. They are a good source of vitamins. This article was written by a third party contributor. The views, opinions and recommendations expressed in this article are those of the contributors only and do not reflect the official position of SingHealth or HealthXchange. 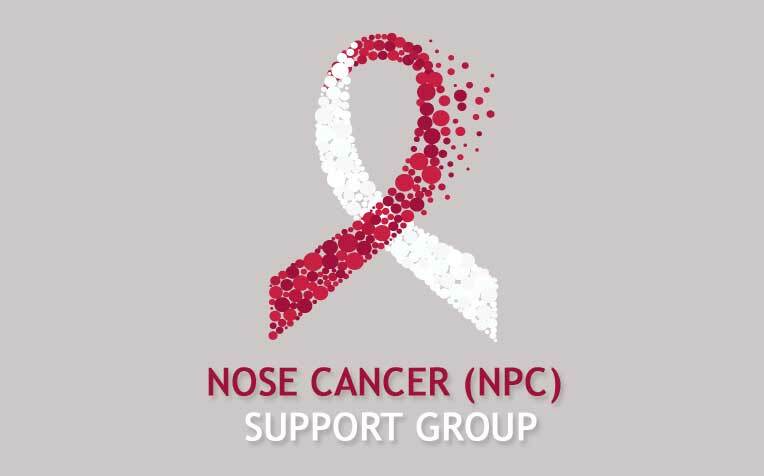 ​What Are the Potential Side Effects of Nose Cancer Radiotherapy?